The 2015 Dodge Journey is not quite a compact crossover, nor is it a full-size SUV. Instead, this crossover is considered one of the few vehicles in the industry that fits just in between the two segments, making it a perfect choice for many consumers. Add its attractive, intimidating exterior style and long list of features, and the 2015 Journey is a force to be reckoned with in its competitive segment. 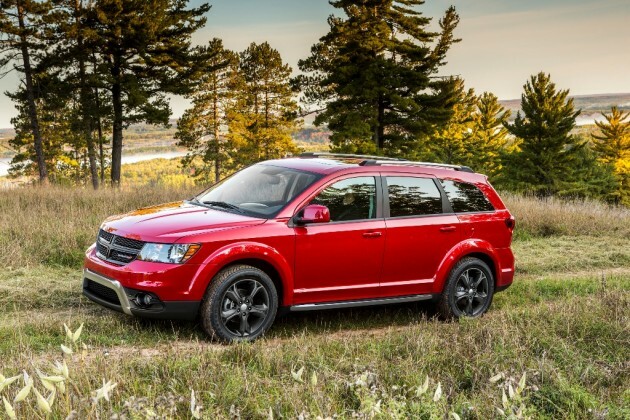 What’s New for the 2015 Dodge Journey? 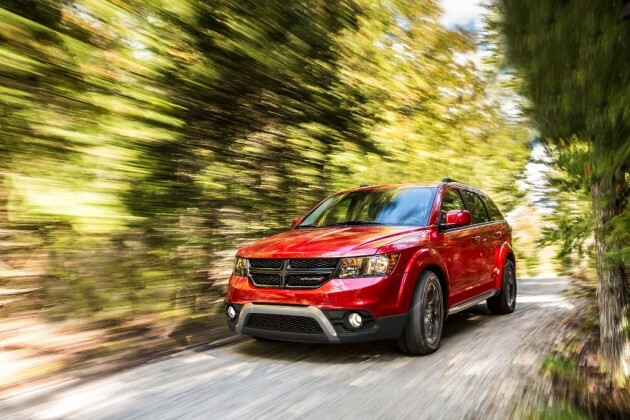 No significant changes for the 2015 Dodge Journey. 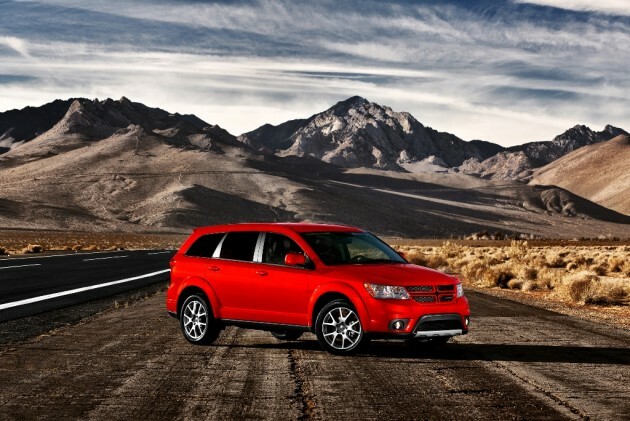 The 2015 Dodge Journey comes in seven trim levels: American Value Package, SE, SXT, SXT Plus, Crossroad, Limited, and R/T. 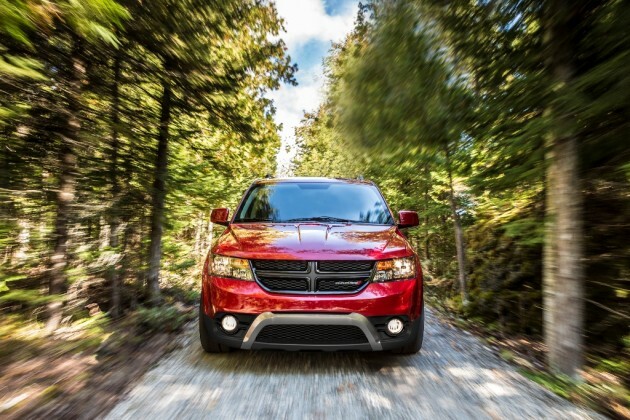 The 2015 Dodge Journey’s exterior is a study in balance. The SUV sits somewhere between a small and full size SUV so the Journey’s shape is not at all bulky and also not anemic. It cuts a sturdy and healthy figure. 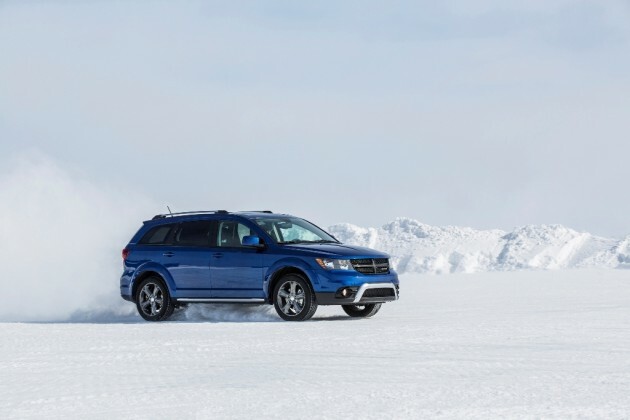 The 2015 Dodge Journey does not fail to deliver when it comes to performance. The Journey boasts a 2.4-liter four cylinder. For those on the hunt for a little more heft, select trim levels come with a 3.6-liter Pentastar V6 motor, good for 283 horsepower and 260 lb-ft of torque. Add available All-Wheel drive and the Journey will have no trouble journeying anywhere. With standard engine configuration, the 2015 Dodge Journey delivers 26 mpg/highway. With the more powerful Pentastar V6, the Journey gets 25 mpg/highway. The interior of the 2015 Dodge Journey is dominated by a sense of comfort and spaciousness. Journey offers a fantastic storage system, made for the real world. Storage nooks everywhere, the Journey features 67.6 cubic feet of storage space when you fold down the seatbacks. Manual dual-zone climate control comes standard and automatic three-zone control is available. Safety was clearly a priority for Dodge when they designed the 2015 Dodge Journey. Seven advanced airbags protect you and your family during collisions. Electronic Stability Control listens for how you steer and gives additional control when you need it. Standard Four-Wheel Anti-Lock Brakes gives you nimble yet powerful stopping power, enhanced by Brake Assist.